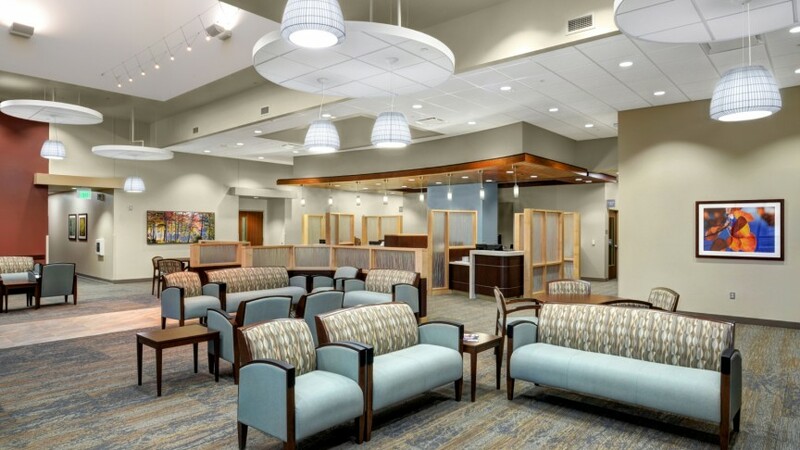 This ambulatory care satellite campus features a 16,000 s.f. 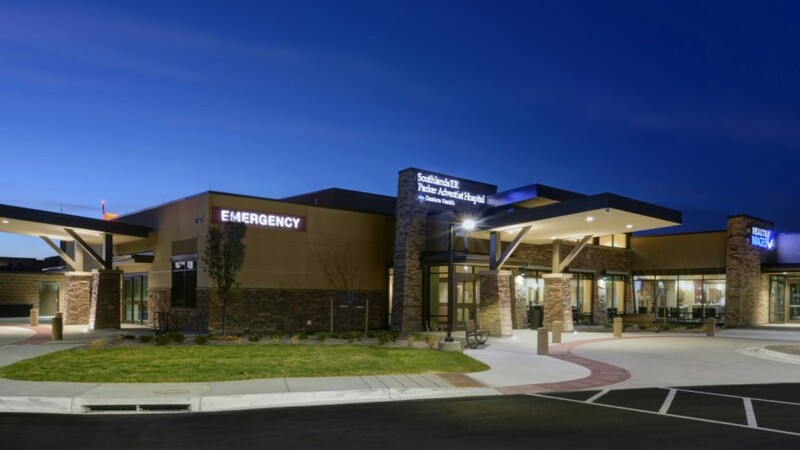 free-standing emergency department with an outpatient imaging center, and a 20,000 s.f. 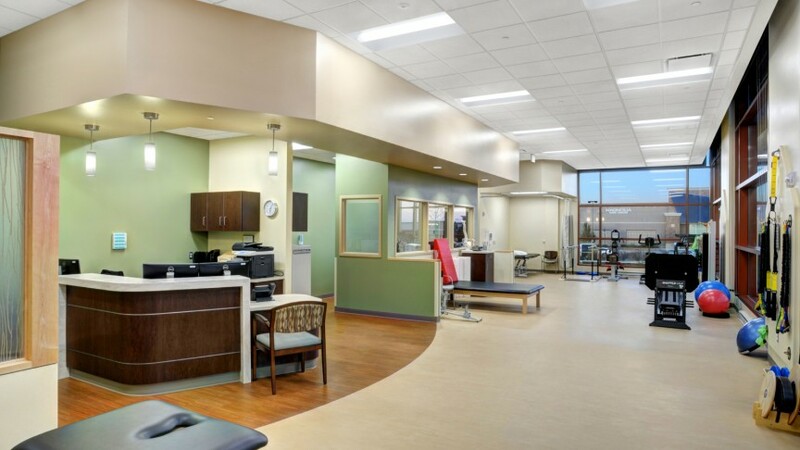 clinic offering physical therapy, mammography, radiography, and an outpatient lab. 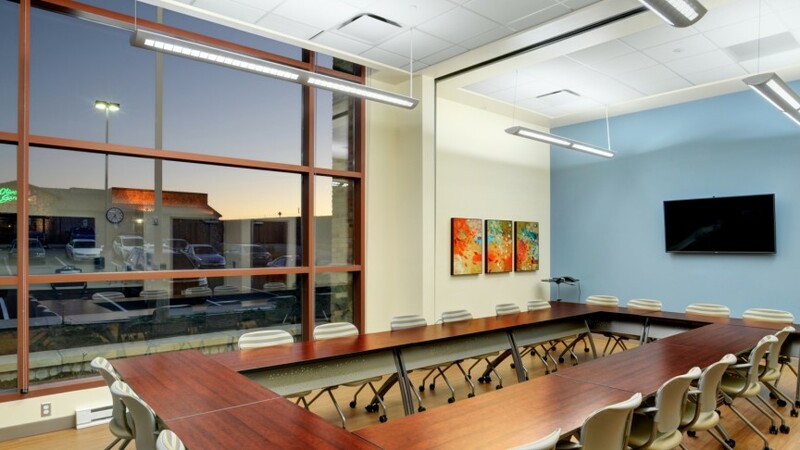 The clinic was an adaptive re-use of an existing retail space. 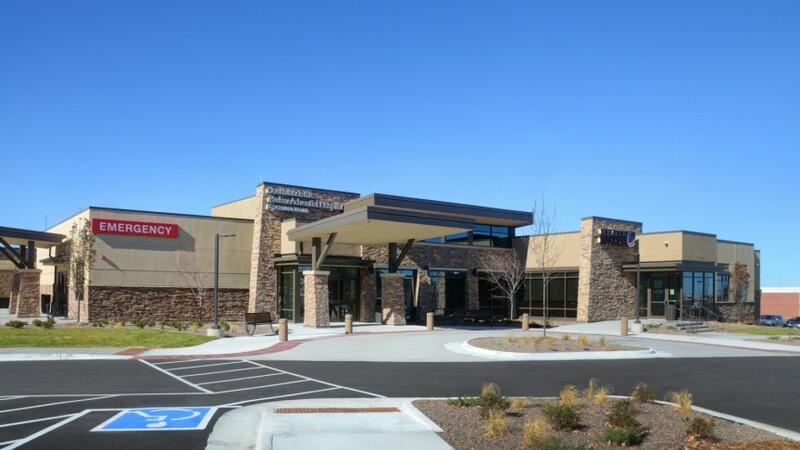 This project was sponsored by Parker Adventist Hospital and designed for Centura Health Physician Group (CHPD) and is part of a standardization and branding initiative with Centura and CHPD for future clinics. 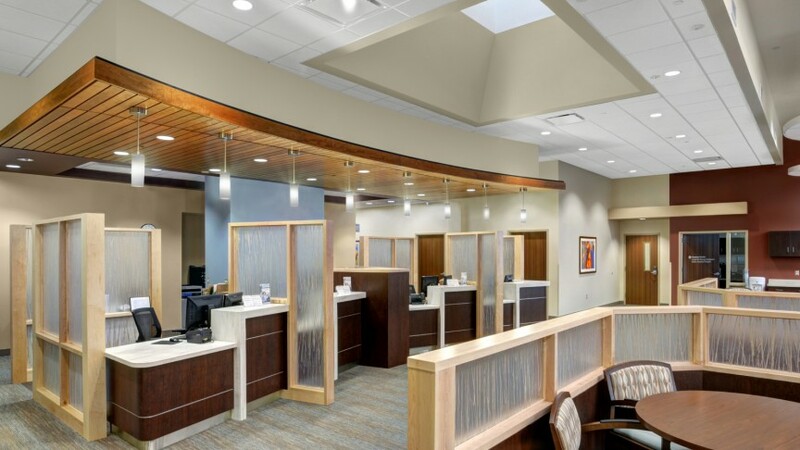 Boulder Associates worked closely with the client to use innovative design to improve the patient experience. As part of a 3P event, the design team created a life-size, cardboard mockup clinic that allowed doctors and nursing staff to simulate a patient’s visit from check-in to check-out. 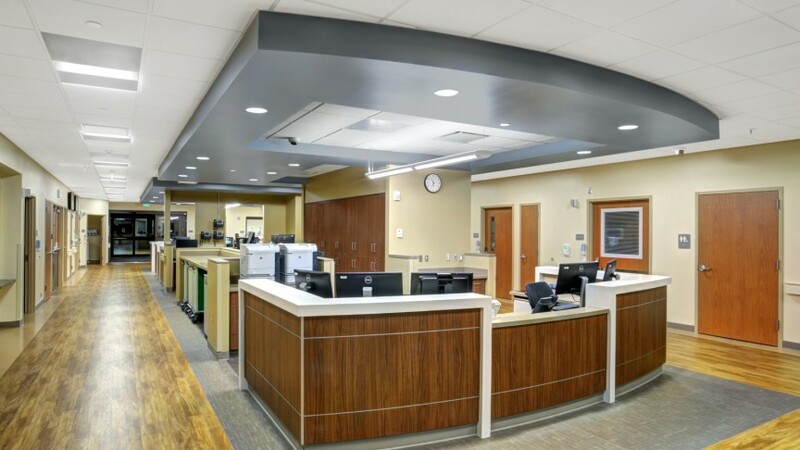 This hands-on input by the actual users resulted in modifications that improved the patient experience and enhanced operational efficiencies. 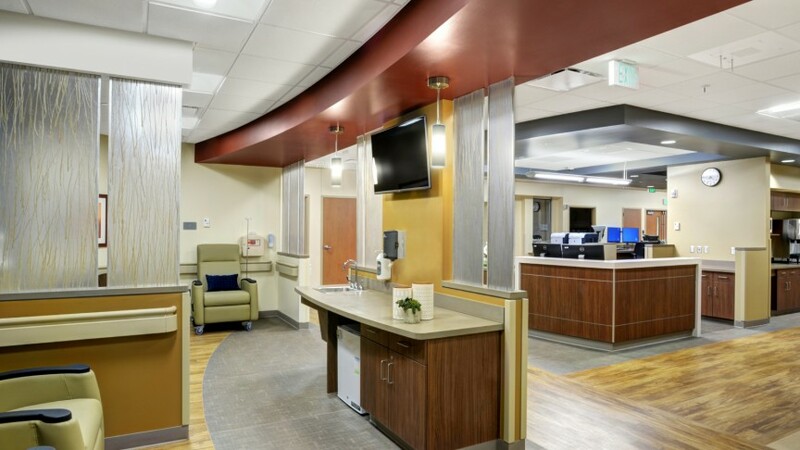 The ED was designed to use a split-flow model of care to reduce wait times. This process provides treatment based on each individual’s specific needs. 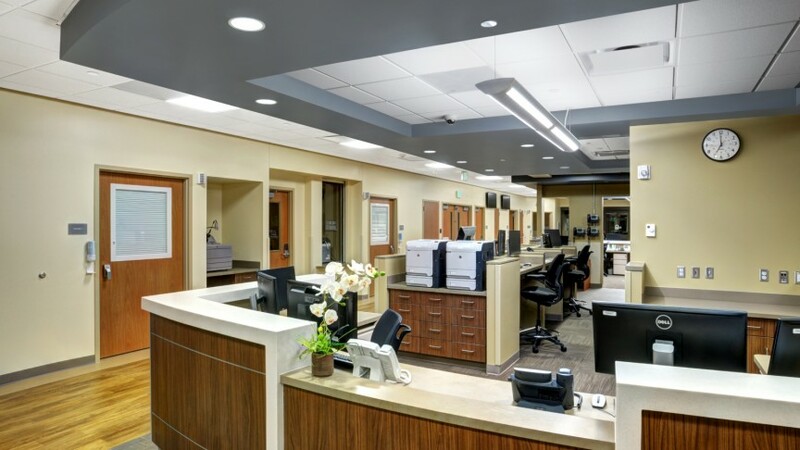 Triage during check-in allows medical staff to treat less sick patients faster and admit very ill patients quicker, resulting in a more positive, and efficient, visitor experience.